Big Blue tops analysts estimates reporting 15 per cent jump to US$10.1B generated from sales of newer technologies. IBM on Wednesday reported second-quarter profit and revenue that topped analysts' expectations as it benefited from growth in higher-margin businesses including cybersecurity and cloud computing. The newer businesses, which are spread across its various divisions, have been bundled into what the company calls "strategic imperatives". Revenue from these businesses grew 15 percent to US$10.1 billion in the second quarter, accounting for more than half of the company's total revenue. IBM Chief Financial Officer James Kavanaugh said the company's investments to reposition itself have been paying off. "We accelerated our growth, really capitalising on these emerging high value areas," Kavanaugh told Reuters. Overall revenue rose nearly 4 percent to US$20 billion, beating analysts' average estimate of US$19.85 billion, according to Thomson Reuters I/B/E/S. The company's revenue has now risen for three straight quarters after falling for nearly six years. "One of the key components was as-a-service growth ... and as that scales through, you're starting to see margin expansion shine. Gross margin closed the gap," CFRA Research analyst David Holt said. Net income rose to US$2.4 billion, or US$2.61 per share, in the quarter ended June 30 from US$2.33 billion, or US$2.48 per share, a year earlier. 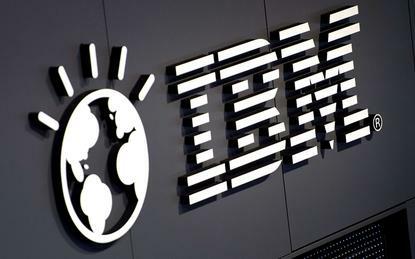 Excluding items, IBM earned $3.08 per share, beating analysts' average expectation of US$3.04 per share. Shares of the Armonk, New York-based company rose about 2.5 percent to US$148.13 in trading after the bell. Reporting by Pushkala Aripaka and Remya Padmadas in Bengaluru; Editing by Anil D'Silva.